ABOUT THE GAME: WHAT IS HIGHJACK? 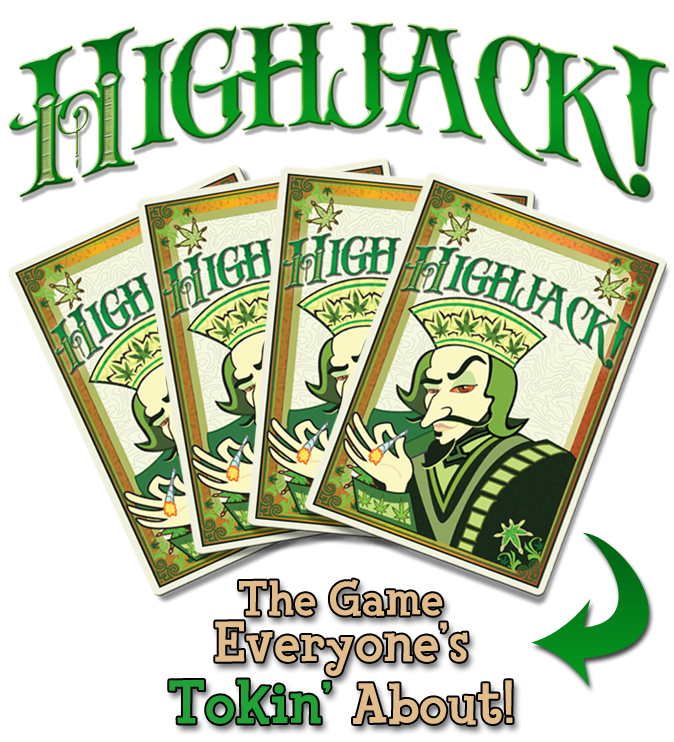 Highjack is the perfect combination of action, strategy, and marijuana humor. While the game is fun for everyone, it is especially “cool” for those who partake of the great herb. Imagine the best of War, Uno, and Rummy and you’ll have an idea about how the game is played. 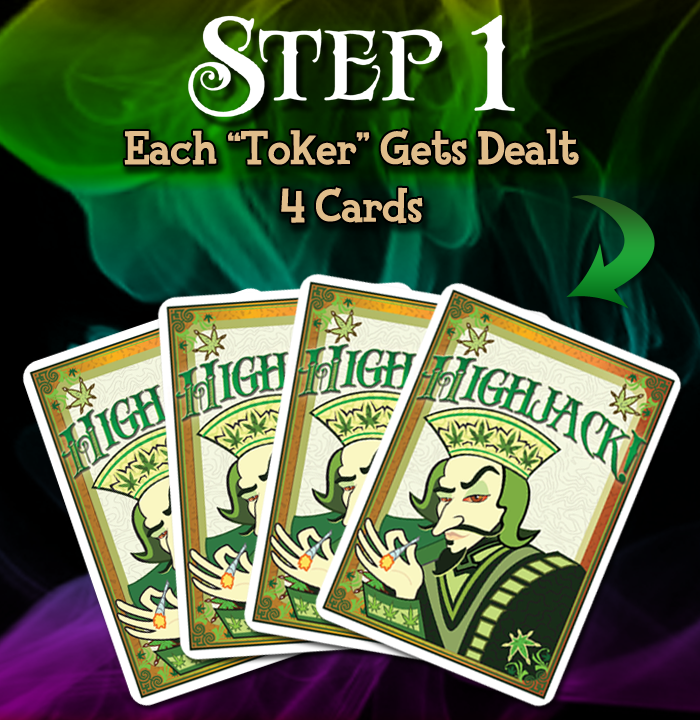 Deal 4 cards to each Toker. All remaining cards are placed facedown in the “Take a Hit” pile (Draw Pile). 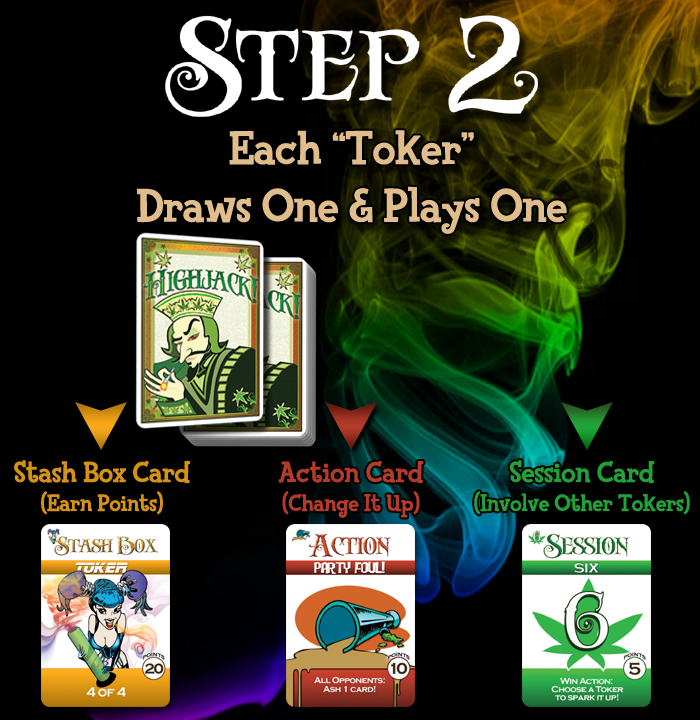 Each Toker starts their turn by “taking a hit” (drawing 1 card) and then playing 1 of 3 card types. 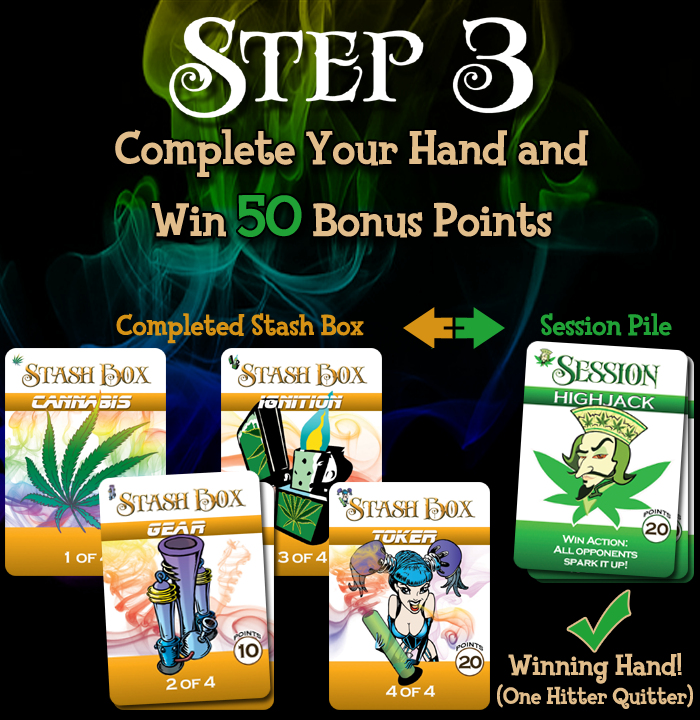 Collect all 4 Stash Box cards and at least 1 Session card to earn 50 bonus points and end the round. 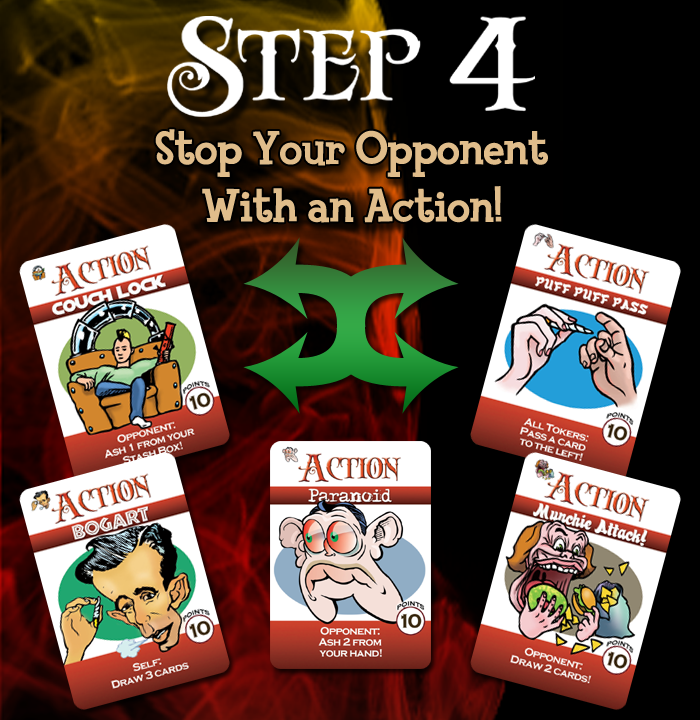 Action cards are played into the “Ashtray” (Discard Pile) faceup. Follow the instruction on each card. A Session begins when a Toker holds a Session card facedown and calls “session” out loud. 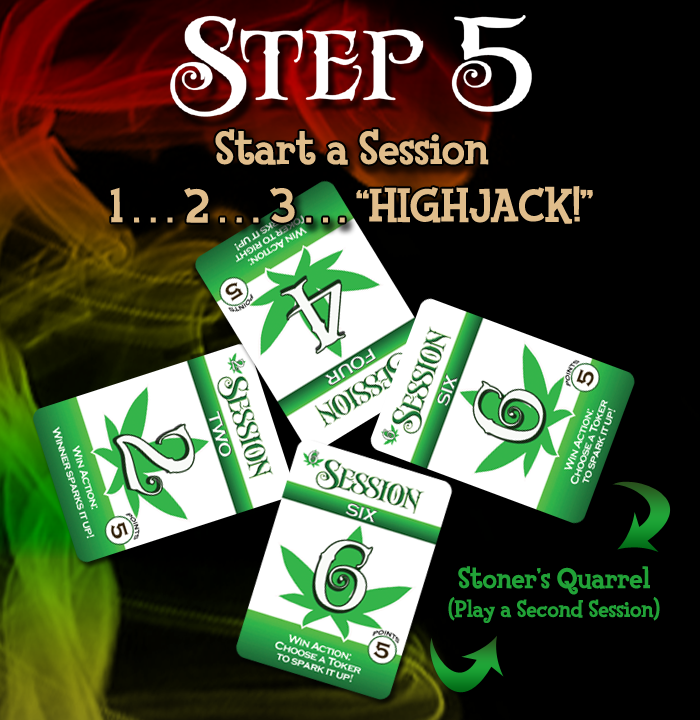 All remaining Tokers then join the session by holding their own Session card facedown. 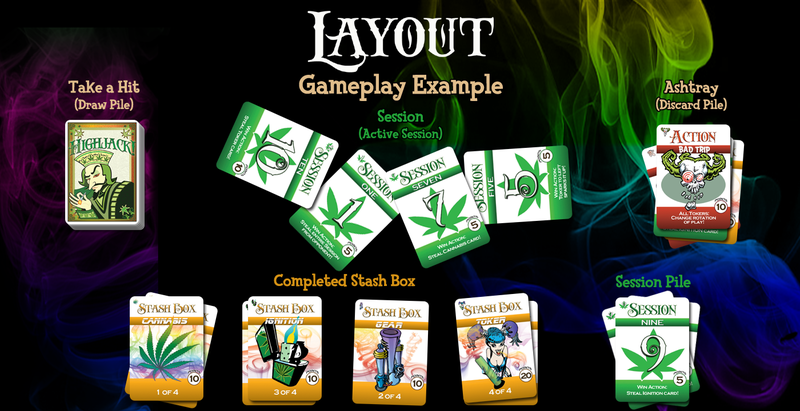 Each round ends after all “Take a Hit” cards are drawn or when a Toker completes their Stash Box and earns the Bonus. 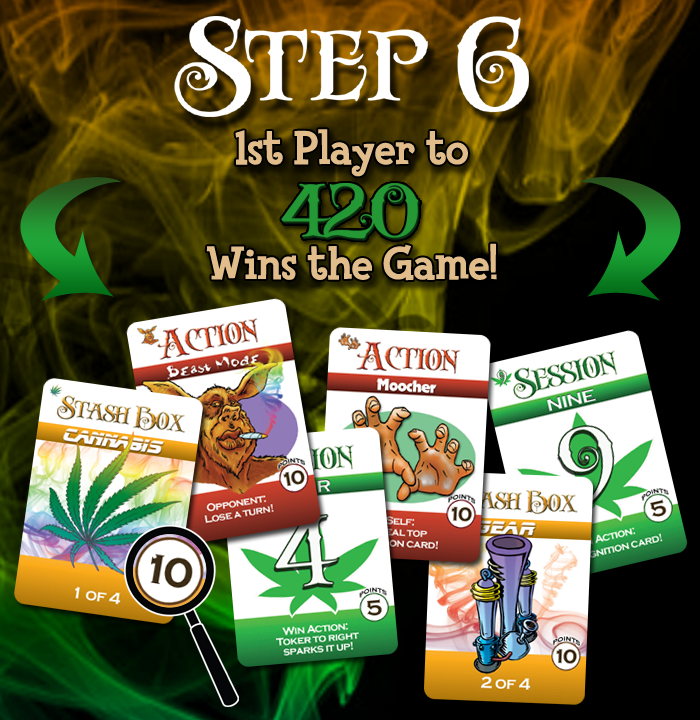 The first Toker to 420 wins the game! While layouts may vary, below is an example of how your Highjack table might look.